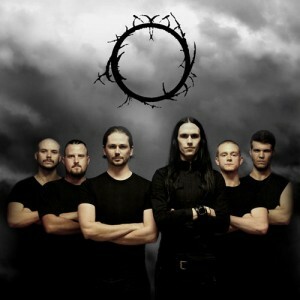 Portal of I, the much-anticipated debut album from Melbourne’s Ne Obliviscaris, will receive its long-awaited release on May 7th through Welkin Records. Coming nine years after the band’s formation, five years after the release of their first demo and 15 months after they successfully lobbied the Australian government to grant French guitarist Benjamin Baret a long-term visa, Portal of I will surely be one of the most highly-anticipated debut metal records ever released in Australia. Mixed and mastered by Jens Bogren (who has previously worked with Opeth, Katatonia and Ihsahn, among others), the album will see an Australian release courtesy of violinist Tim Charles’ Welkin Records before being released internationally by parties yet to be announced. To celebrate, Ne Obliviscaris are embarking on an east-coast tour in the weeks following the album’s release with shows confirmed for Melbourne, Adelaide and Sydney, with a Brisbane show still to be finalised.